Window is a private house designed by LADAA and is located in Valencia, Spain. This entry was posted in bathroom, house, kitchen, living, outdoor, pool, terrace and tagged house, house idea, houseidea, idea, LADAA, Modern House, myhouseidea, pool, Spain, Valencia, villa, window, window house on October 25, 2013 by admin. House in Rocafort by Ramon Esteve Studio. 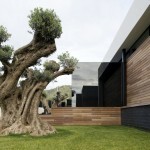 House in Rocafort was designed by Ramon Esteve Studio and is located in Valencia, Spain. This entry was posted in house, pool and tagged house, House in Rocafort, houseidea, myhouseidea, outdoor, pool, Ramon Esteve Studio, Spain, Valencia, villa on July 24, 2013 by admin.